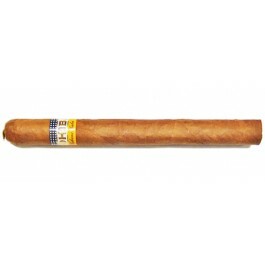 The Cohiba Coronas Especiales is an elegant premium medium to full Laguito No.2, of 38 ring gauge, 6" (152mm) long and comes in 5 packs of 5 cigars. This cigar is a delicacy out of the box, with generous aromas of fresh hay, coffee, spices; very complex smoke. But once aged for about 5 years, it offers a mellowed flavor profile with ample creaminess and woodiness. Perfect construction and burn to top it all. The Cohiba Coronas Especiales is an amazing premium cigar, which packs what Cohiba has best to offer. • Medium to full vitola, which perfect construction give away beautiful and complex flavors, mainly spices, coffee, cedar and hay among others. • Aging this beauty for 4 to 5 years is recommended, to mellow out the strength of the cigar and reveal its creaminess. This cigar is definitely for experienced aficionados that like powerful smokes. The cigar is simply at beauty to behold, very attractive medium brown wrapper (Colorado tone), with no veins whatsoever. The wrapper is pretty oily and shiny and has a smooth feel to it, velvety like. The seams are almost invisible and the whole cigar is tightly packed without any soft spots. The triple cap is beautiful and the pig-tail is flawless. It feels very good in the hand, with the right weight, the right proportions. Very elegant cigar. At cold, the wrapper exudes aromas of mild and sweet tobacco, with some notes of dry hay and sweet coffee. There is also a spicy smell on the foot. The pre-light draw gives also some sweet and mild tobacco notes on the palate. 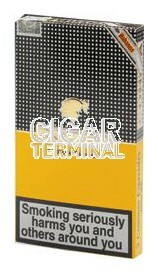 Once the cap cut-off, the Cohiba Coronas Especiales reveals a rather firm draw, but still workable. The cigar is easily lit, and generates right away very generous billows of smoke. The ash holds on firmly at the foot, and has a nice dark grey color, with nice little ridges. It burns slowly and with an even burn line. A mild and sweet tobacco is the first flavor that comes out from the first few draws, with some wood on the finish. The body is mild to medium at this point. The first third is starting with sweet flavors of hay, coffee, vanilla and tobacco. There are also some nice toasted/nuttiness notes to it. There are also some hint of mild pepper and some cedar. Overall, the flavors are very well balanced, the profile is very creamy, great medium body that is getting just a tad stronger towards the end of the first third. A great opening for the Cohiba Coronas Especiales. In the middle third, the body of cigar is now a solid medium, creeping towards a medium to full. But the richness of the flavors is still amazing, where in addition to the beautiful sweet tobacco; there is now some chocolate notes. The sweet hay is slowly becoming more powerful, and has some honey notes. The spicy aspect is still very sweet and pleasant, while the finish is woody with some grassy notes. There are still lots of creaminess to tie up all the flavors that the Cohiba Coronas Especiales has to offer. In the final third, the cigar reveals its true self, a powerful smoke that is targeting experienced smokers, the body and the flavor profile are now medium to full. The delicious tobacco flavor is still around, there is still some creaminess, which is now sweeter. The notes of coffee and hay continue to be present, but they have subdued a bit now. The white pepper notes turn into some stronger black pepper. The flavors remains creamy and sweet, no bitterness whatsoever. The last few inches are stronger and are closer to a full body. The Cohiba Coronas Especiales burns very well until the end, and the nub remains cool. It is possible to enjoy it until the very end. In summary, the Cohiba Coronas Especiales is a super Habano that is great out of the box, but even creamier and richer after 5 years of aging.